Category 5 Hurricane Irma, "Probably the worst hurricane in decades"
Oh my God.... May there be prayers to the souls who are and will be affected. To those who haven't experienced the storm yet but are at the places where it will hit, GET THE ABSOLUTE HECK OUT OF THERE NOW! I should say so, ick. I hope this does not hit Disneyland in Florida. Tho with this and the recent Texas hurricane; My prayers are with the survivors/victims of this. And I suggest to anyone religious of any persuasion to pray for them; this has been a nightmare of a hurricane season this year. Jeez all of this damage looks bad, and I thought superstorm sandy was deadly when it hit the east coast (then again, it's rare that a hurricane or any strong weather phenomena hits me) this is just utter devastation. Hope everyone in the path of the storm's evacuating, cause those winds can sweep you off your feet. I'll be fine. We are prepared and ready to embrace. A lot of people are evacuated although the hurricane is going to affect mostly everything up north and going up east coast. There's no escaping it as well. 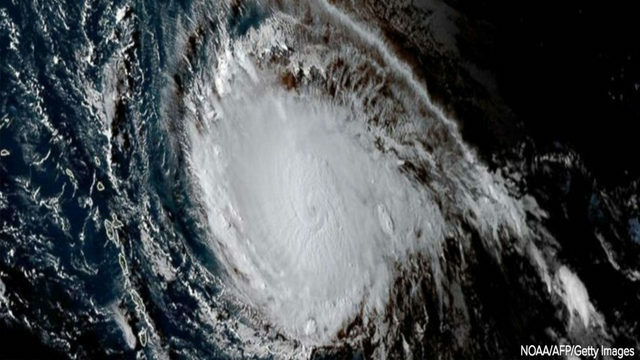 Hurricane Jose just turned into a category 2 and is on its way with a similar path. Definitely good luck to you man. The storm sounds nasty. Okay. Atlanta and the area around (I live about 30 minutes east; we're getting some) is getting hit by Tropical Storm Irma. I thought originally it'd just be the remnants, but it's sorta held together. It is not as bad as people thought; I got one arm scratched up pulling flingable things to shelter. (Darn wild rosebush) but so far so good. No flooding in our basement. We have power still; My sister in law lost power for a couple hours today. No trees over; tho there's a dead tree in our back yard that really needs to go. Worst should be over by tomorrow afternoon, I hope. My GP lives in FL. Thankfully he lives on the east side of the peninsula. My uncle went to watch over him. My family is still praying for everyone enduring the hurricane.